How do I get the word count on this document? In the past when I selected a paragraph, I’d get a count of the words in it, right here at the bottom left." A colleague was struggling to get Microsoft Word to do what she wanted. 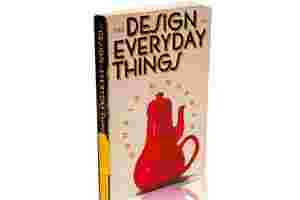 In his book The Design of Everyday Things, cognitive psychologist Donald A Norman answers these and a whole lot of other questions about why design—particularly user-friendly design—is not easy. Norman, whom Newsweek called “The Guru of Workable Technology", begins with how people interact with everyday things. The three critical elements to using things successfully are, in his words, visibility, appropriate clues and feedback of one’s actions. So whether a hot and cold water faucet or the turn signals in your car, if they are visible so you can locate them easily (in front of you rather than by your foot), provide visible clues or affordances (lift, press or turn) and provide feedback (flowing water, blinking direction indicator) upon being operated, we have the makings of usable design.